Who: Mothers, daughters, grandmothers, granddaughters, aunts and nieces. Age 18+. We will uncover some of the vast secrets of the city and discover the rich history. We will use a private tour guide to visit significant sites such as the Bahia Palace, El Badi Palace and Saadian Tombs. Of special interest to us is the newly opened Musee De La Femme (Museum of the Woman). 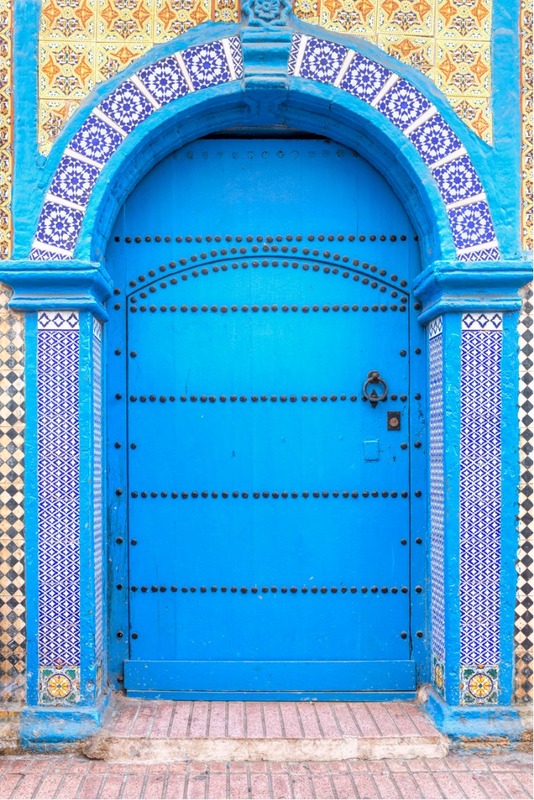 Outside of the walls of the medina, we will take the time to savor the Majorelle Gardens which houses the intricate displays of the Berber Museum. This is mostly a walking tour through the old areas of the historic walled city. We will be passing through Jemaa el-Fna, a Unesco World Heritage Site, where you will find snake charmers, belly dancers, fortune tellers, dentists, monkey trainers and all sorts of traditional entertainers performing their street art! It is a site not to be missed and one that both mothers and daughters will remember long after the sojourn is over! Temporary henna tattoos have been used by Arab women for thousands of years as a type of decoration for important events such as weddings and other special events. The henna gathering for mothers and daughters will be held at our riad where a henna tattoo artist will join us and we will enjoy the traditional music, sweets, tea and have a henna party following the traditions of the local women. Another exciting activity will be a mother-daughter cooking class where mothers and daughters will have the opportunity to create local dishes together! The class will be held at an organization run by women. Shopping, not to be forgotten and a favorite activity, will be an important event on this trip as the souks contain a vast array of perfumes, spices and clothing, You will discover unique and rare finds of antiques, handcrafted goods, Moroccan shoes, caftans, baskets and fabrics. Mothers and daughters will have the opportunity to discover this wondrous array of wares with a guide but you will also have the opportunity to explore and wander through the labyrinth of streets that comprise the souk on your own. Glamping is the modern day solution for women who want to experience the ancient call of the desert but in comfort! If mothers and daughters have never been camping, this is a truly luxurious way to try it! We will embark on a journey to the desert in private transportation and spend two nights glamping in tents. Each mother and daughter will have their own private tent. Our meals will be cooked by women in a nearby Berber village and brought in daily. We will dine at a communal table in shaded areas during the day and under the stars and by candles at night. We have the opportunity to ride camels, trek through the Atlas Mountains (easy level), have lunch in a Berber village, gaze at the stars at night under the guidance of an astrologer, play board games, and just rest and relax! The beauty and calmness of the desert is an experience not to be missed! An essential part of our cultural experience of visiting Marrakech is a visit to a traditional Moroccan hammam (spa). This ritual dates back thousands of years and it is one that you will not want to miss. The traditional hammam massage includes a body scrub and a massage that is unlike any other due to the unusual ingredients and the different components of the ritual. You will come away feeling very clean, relaxed and refreshed. Mothers & Daughters will have the option of having their spa rituals performed together, sharing the same room. Our mother-daughter sojourns are all about bonding! Sometimes just attempting to plan a trip together can be incredibly stressful and deter mothers and daughters from traveling together. Our goal is to help you avoid the stresses that can come with travel so that you can just focus on bonding. We have planned a trip filled with activities specifically to reconnect with each other. From meeting with women and children to getting lost together in Marrakech’s enchanting souk to interacting with other mother-daughter duos in the group, mothers and daughters are sure to leave having spent valuable time together and gaining a new found love for mother-daughter travel. The riad where we will be staying is located within the walls of the old medina and was awarded the Gold List Award by Conde Naste Traveller in 2017. The interior design is quite stunning and all sleeping options are suites. We have reserved the entire riad for our exclusive private use for our group. The riad is surrounded by traditional high walls creating a tranquil and relaxed atmosphere inside but only minutes away from the excitement of the souk! The rooftop provides the ideal setting for breakfast, relaxation and sunsets! The staff at the riad offer attentive and low-key service at all times. They will be happy to help you unpack or pack your luggage and offer a variety of services for your convenience. Laundry and ironing are available upon request for a separate fee. In this traditional riad, there is a wide variety of choices of suites and prices so it is important that you carefully read the descriptions and look at the pictures under the booking option to select which type of suite you would prefer. Each option is unique and you will need to book early to ensure that you secure the suite that you feel you would be most comfortable in! Please note that there are no elevators in the riad. We will be spending two nights in staying in upscale tents (glamping). All tents have an attached private bathroom facility and desert-type shower and you will have the option of sharing a tent sleeping in twin beds or sleeping solo in your own tent. Please note that wifi is not available at this camp as we are in a remote area. We will be 'roughing' it a little but when we return to Marrakech we will indulge in hammam scrubs and treatments which will wash away the desert sand! We will be visiting Marrakech during Ramadan. Ramadan is the month when Muslims fast from sunrise to sunset. However, this will only enhance our visit as the souk is a little less crowded during the day. Shops open around 10:00 a.m. and close before individuals break the fast (closing about an hour before sunset) and then open back up about an hour and a half after sunset and stay open until late at night. Foreigners are not expected to fast and we can move around freely and have water with us wherever we go. We will be respecting the custom and not walk down the street eating; however, during the day the restaurants still cater to foreigners and our riad will also be cooking some of our meals for us. In the evenings, the restaurants are alive and full and people are in an especially good mood! The benefits of visiting during Ramadan are many; A cannon is sounded every evening to signal the breaking of the fast, special foods are served after sundown that you can only eat during Ramadan, the shops stay open until 2:00 in the morning and the souk is alive and brightly lit in the evenings.